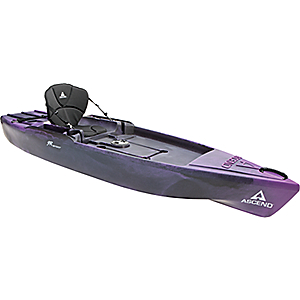 Versatile performance for adventurous anglers or even waterfowl hunters. 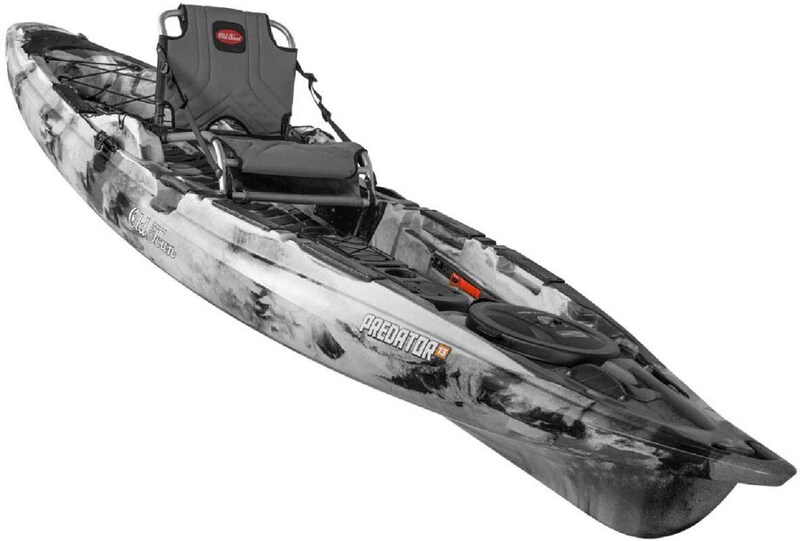 The ASCEND 12T Kayaks rotomolded, custom-crafted tunnel hull pairs with a wide transom and flared bow sections to create exceptional stability, so you can fish or hunt the way you want in complete confidence. 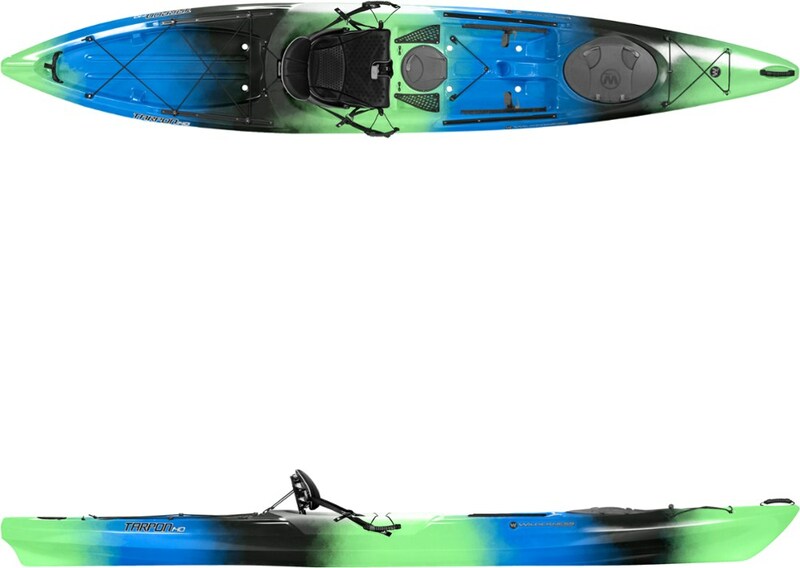 This innovative design also results in outstanding tracking and easy paddling. 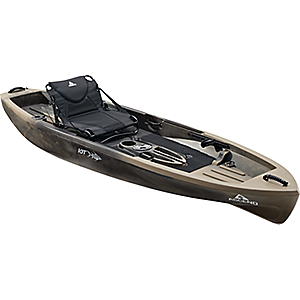 Removable suspended seating system with three-position seat landings keeps you comfortable while you paddle to your favorite spots or while you kick back and cast a line. You can also fish from the flat casting deck featuring a nonskid foam mat. Integrated weathertight storage protects sensitive gear from Mother Natures wrath, while two rails accept virtually all rail-mount accessories (sold separately). 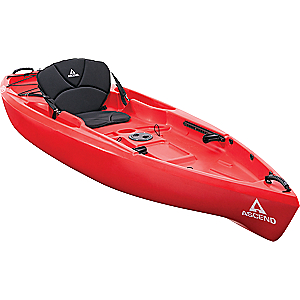 Recessed bow storage with flush-mounted bungees, recessed stern storage with flush-mounted bungees and large stern tankwell with D-rings add even more storage options. Also features midship deep-molded drink holder. Adjustable foot braces. Six scupper drains with plugs. Dual flush-mounted rod holders. Bow and stern carry handles. Compatible with Ascends RedHead Waterfowl Blind (sold separately). Made in USA. 12L x 31W. Wt. capacity: 350 lbs. Wt: 77 lbs. 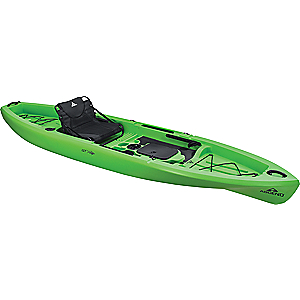 Colors: Camo, Desert Storm, Titanium, Lime. Cancer and Reproductive Harm- www.P65Warnings.ca.gov. Color: Lime. 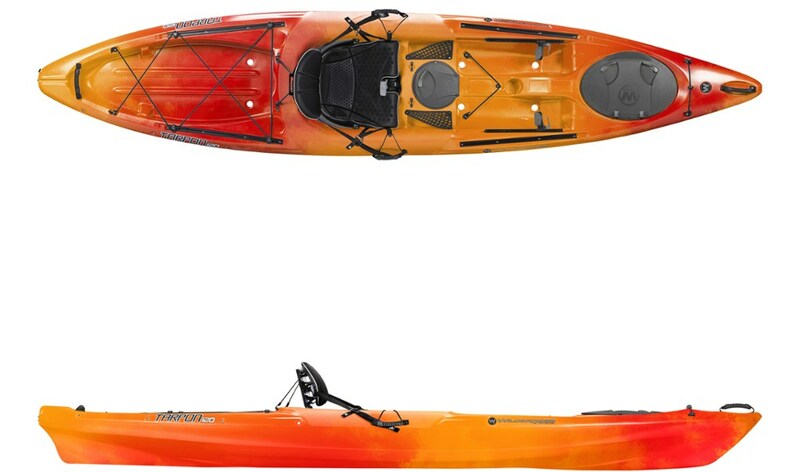 Type: Kayak.